On Friday the 10th of November, Belgium officially has a new fine chocolate maker. 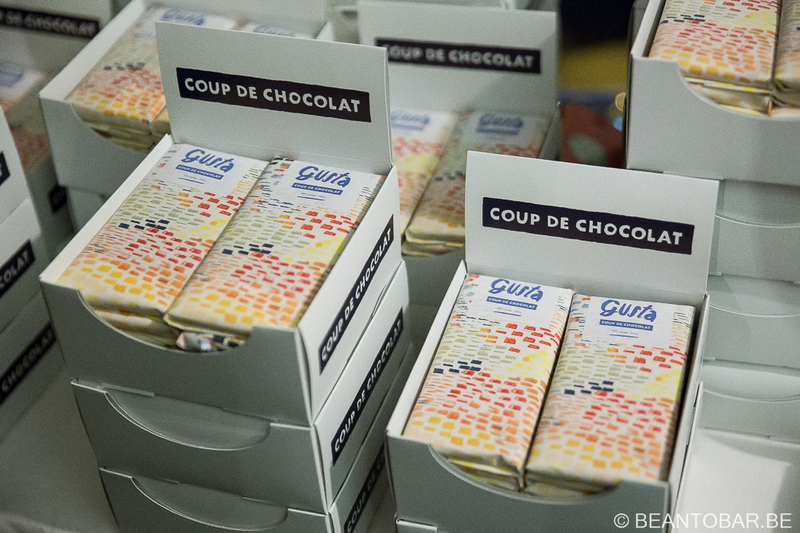 Amongst only a few artisan creators in this country, Coup De Chocolat launched their first bar. The company has been started by Isabelle Quirynen and Tom Geens share a passion for real chocolate. Fueled by several trips to plantations, meeting cocoa farmers, they materialised their dream of creating their own chocolate. Today their Gusta bar is available to the public. Created with cocoa grown, harvested, fermented and roasted in the Piura region of Peru, Coup De Chocolat takes care of the entire production process. They work closely together with the farmers to create the flavor profile they want. They have been involved in the choice of cocoa bean, the fermentation and the roasting process. The result? 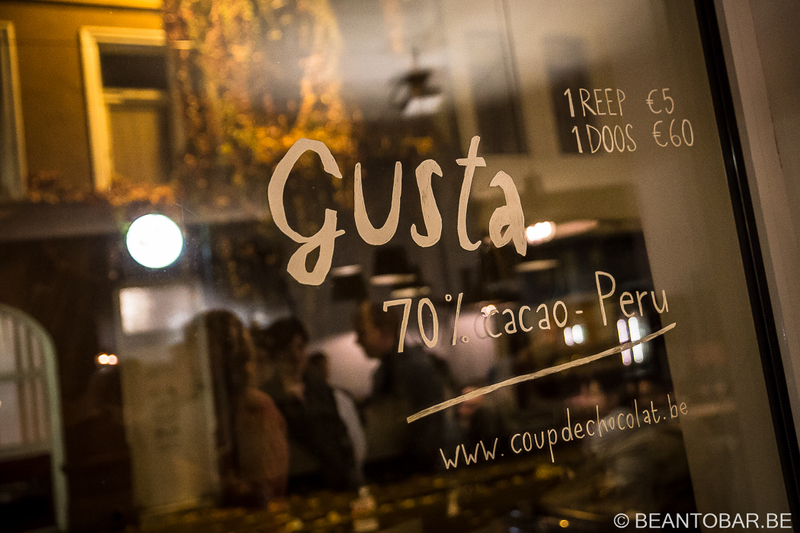 Gusta, a 70% Peru bar. 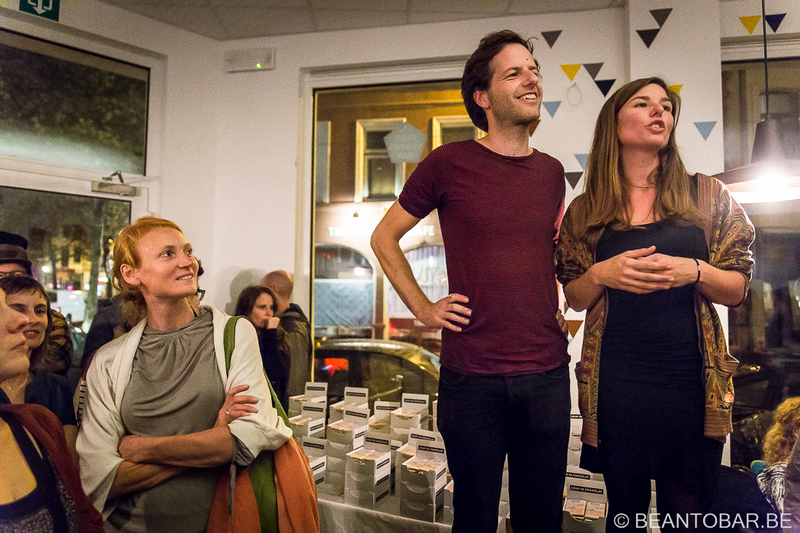 Hosted in a fully packed bar called “Beerlovers” in Antwerp, Isabelle and Tom presented the Gusta bar to a large public for the first time. After an explanation on how it all started and what fine chocolate really is, both creators shared their view on making chocolate. It is amazing to hear how the idea of making chocolate soon becomes an adventure, meeting new people and experts in the field and searching the perfect machines to get the final product out there. Include art-work and manual packing and you will understand it is quiet a task. Next was the tasting round. One can tell all you want about chocolate, its actually tasting it what all the work is about. Small and larger trays moved swiftly through the crowd. Pieces were sampled and shared. People reacted surprised and positive on the Gusta bar. My first impression? The chocolate is a well made single origin bar. Nice flavors, smooth chocolate aroma’s with a dark fruity heart. Plum and red cherries came to mind. The texture is a tad rougher than French style chocolates. I’ve noticed that this type of chocolate often releases the most flavors. Unfortunately, the place was so packed, it was difficult to really appreciate the chocolate to the fullest extent, so off course I bought a bar. You can expect a full review of the Gusta bar in the near future. 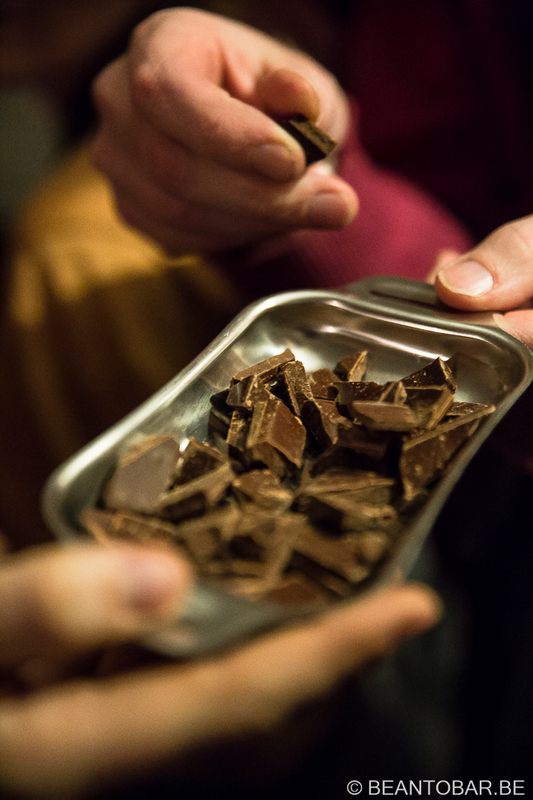 This launch adds one more real chocolate to the bean to bar scene in Belgium. Slowly I can grow pride again in Belgium as a chocolate country. Yes we can… we really can make a quality fine chocolate! The place of the event was well chosen. 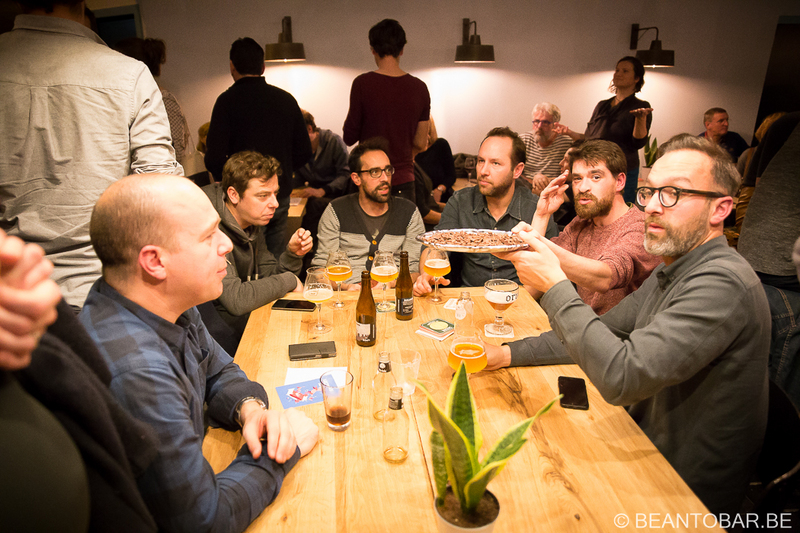 Beerlovers is a great bar, focussing on special beers. I noticed tons of unknown names of breweries and products. Once more, products focusing on real flavors find each other. Well worth the visit of you are ever in the area.